Japanese capsule hotels-inspired housing project offers cozy quarters for minimum wage workers. It’s not unheard of to find a bedspace for under P2,000 a month. 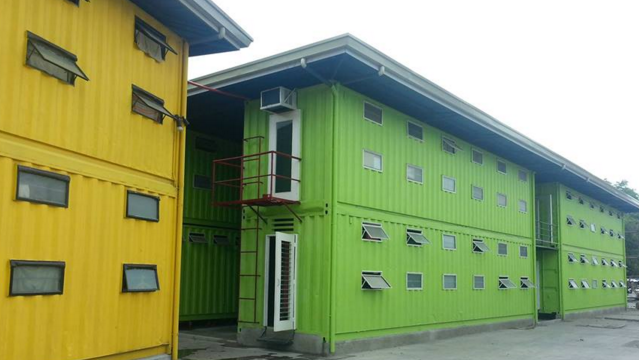 Panya Boonsirithum made it possible by building Citihub, a men’s dormitory made from recycled container vans. 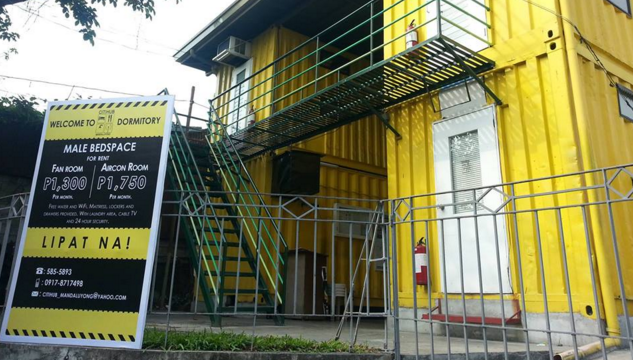 By using container vans as the frame for the dorm, Boonsirithum was able to keep costs down, allowing him to pass on the savings to his target market—low-income workers in Mandaluyong City who can afford the monthly rent, which starts at P1,700. Citihub, so far, has retrofitted 16 container vans and now has 260 tenants. Every 40-feet-long shipping container van can fit 22 beds. More features have also been added, including fully functioning bathrooms and showers, as well as shoe storage compartments and hanger rods. These sturdy structures are also earthquake- and fire-proof. Leasing a bed comes with a mattress, locker, and drawer—along with communal amenities like fans, free Wi-Fi, and cable TV. For a little extra, renters can avail of other creature comforts like additional storage, air-conditioning, parking space, and power outlets dedicated for laptop use. “It’s a halfway house for workers during the work week, while they go home to their families on weekends. This provides our guests a better quality of life by giving them much needed time for rest, instead of being stuck in traffic,” says Boonsirithum. “There are 3 million local migrant workers in Metro Manila, majority of whom are minimum wage earners. These people work in the city, but live in the outskirts due to high property cost,” says Boonsirithum. “We made it our mission to put up a project that provides dignified housing for our working-class kababayans,” he says, noting Citihub is the CSR project of his real estate development and management company Arcya Commercial Corp.
Boonsirithum hopes to establish at least one Citihub in every city in Metro Manila, with Makati or Taguig as potential sites for a second location. This story originally appeared in the November 2015 issue of Entrepreneur magazine.